Sienna X are proud to be the official tanning supplier for the Strictly Come Dancing Live Tour 2017. 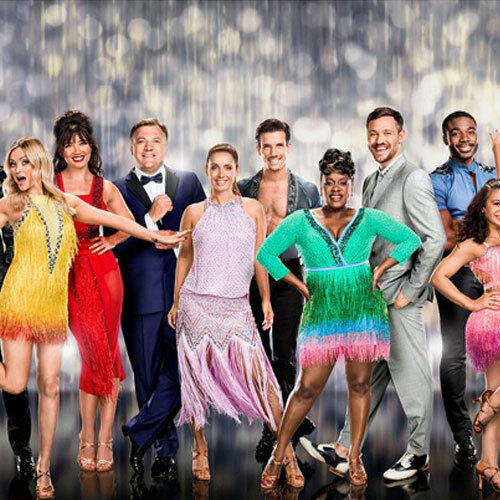 No other show on British tv has quite embraced the love of a good spray tan quite like the team behind Strictly, so we were happy to work with both the Strictly dancers and celebs to ensure, whether it be latin or ballroom, they were sporting the perfect tan for their routine. We were pleased to mark the MOBO’s 18th anniversary as the official tanning brand for the event. There were memorable performances from top performers on the night from artists such as Rudimental and Tinie Tempah, as well as nostalgic acts like So Solid Crew, making it an event to remember. As the exclusive tanning brand, we met some fantastic celebs backstage, and our lucky Facebook and Twitter competition winner Victoria told us she had a fantastic night. Holly Fulton’s remarkable SS13 show at London Fashion Week was given the Sienna X treatment, with the fantastic 6% Touche de Soleil solution. Providing the models with a natural and sunkissed glow, the colour and vibrancy of Holly’s pieces complimented Sienna X’s natural tan superbly. Receiving coverage from fashion editors, including the Daily Mail and Fabulous, the show and the tans went down a storm. In previous years Sienna X has also been an official supplier for the Brit Awards. As always with this prestigious event, there was a number of celebs in attendance and some fantastic, memorable performances. Sienna X were backstage at the event, having set up a spa to provide luxury treatments and VIP goody bags.